You may say an effective presentation is delivered by a person that is confident and competent, who has the ability to engage their audience and who makes their message clear and memorable. Contact LiveLearn to help you be this person. 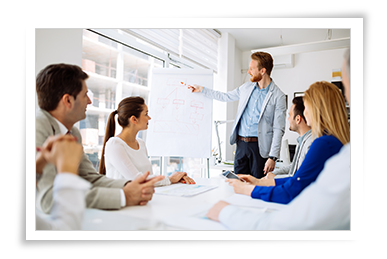 Whether you need to deliver a presentation for the first time or want to improve your existing presentation skills we can help you to prepare, design and deliver your next presentation. This Course is Particularly suitable for – Those who are not used to training regularly but would like to add it to their skill set; or those who are returning to training after a break, and would like to update their knowledge. I found the practice sessions and feedback very helpful. This course has helped me with my preparation and my delivery. I’m actually looking forward to my next presentation! I am using the PowerPoint tips that we learned, my slides are more clear and I don’t need to use so many. No more sleepless nights. I can’t believe the difference taking part in Leanne’s course has made to my confidence levels.